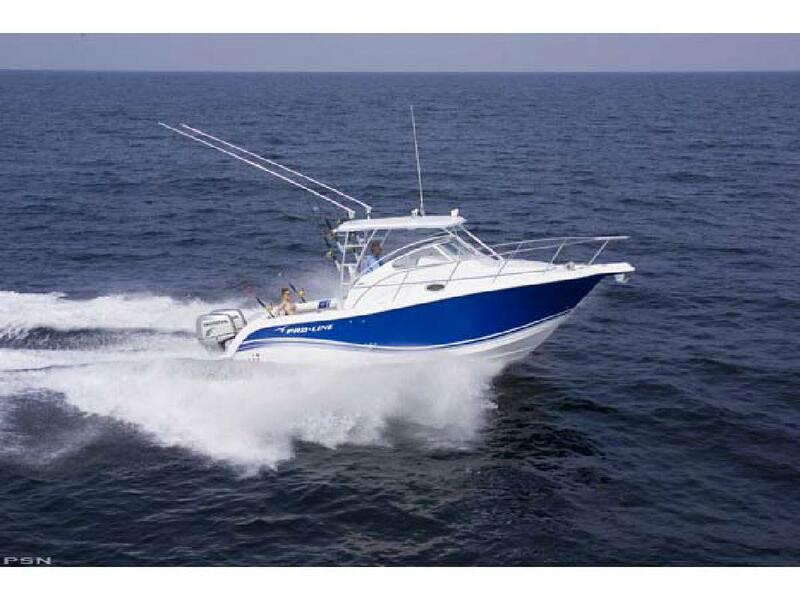 VERY NICE ONE OWNER LOW HOUR PROLINE 28 LOADED TWIN HONDA 4 STROKES The 28 Express is a solid fishing platform and a spacious outdoor entertainment center combined! A huge fighting cockpit (80 square feet) flows smoothly into a well-equipped helm station with excellent cockpit visibility for fighting the big ones. Forward of the helm station is a full galley - sink, icebox and butane stove, with a comfortable seating area to port. There is plenty of room both above and below deck and more than enough fishing features onboard to satisfy tournament level anglers. A full bait and tackle station, 35 gallon baitwell, and loads of rod storage are complemented by the luxuriously appointed cabin. Bring on the fishing party because this boat can handle it all! Draft: 1 ft. 10 in.